Towards the Point? : Unchartered waters? Towards The Point? 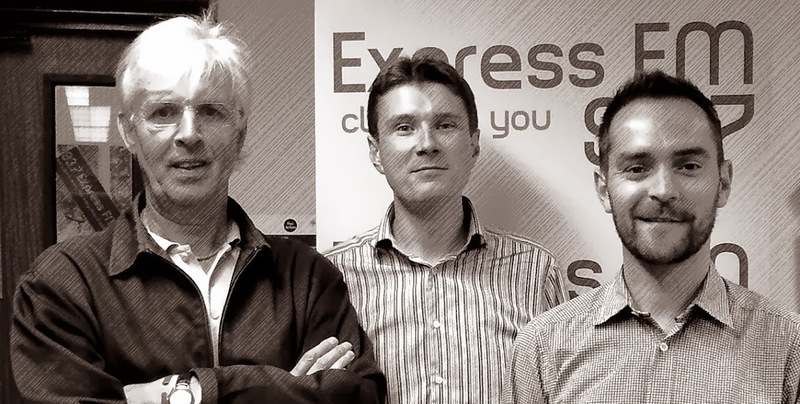 Is a new montly arts & culture review programme for 93.7 Express FM, written & presented by James Sandy and Simon Mobbs. The show aims to dig out wierd and wonderful cultural offerings from in and around Portsmouth. It sets out to provide listeners with a flickering compass for the stormy tides of "the arts". We take in a range of topics from art, film, literature, music, TV & radio and also give you a round-up of local events and acviities. Almost anything is fair game and our targeting will hopefully sharpen across the following months. As the series progresses we will aim to capture the opinions and expertise of the area's cultural gurus, represent the underdogs and generate genuine debate- high aims at low frequency! Will recent changes to the way films are funded in the UK mean a triumph of the commercial over the creative? How do you spot a sure fire sucess? Which films may never have graced our screens if they had had to demonstrate definite returns? The inevitable Iron Lady discussion. Does cinema allow for too much vaseline on the lens when it comes to the rise & fall of some of our most controversial public figures? Does the leading man or lady make or break a film of this kind? Will the biopic ever go away or are we for ever fascinated by those trapped by fame and power? Anthony Hopkins smoothly capturing Richard "Tricky Dicky" Nixon in the Oliver Stone biopic. Is the monkey now sitting at his typewriter checking Shakespeare references on his Kindle? Is a throw away culture shattering our releationship with the book? or Does the increasingly instant and accessible e-book make literature even more of a contender?